Item number 2569/2 from the MOA: University of British Columbia. 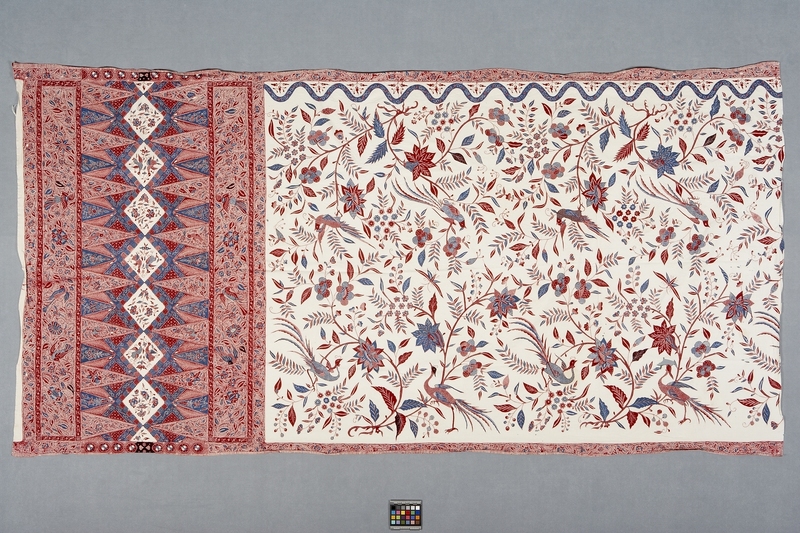 Long, rectangular batik textile with two-thirds of the design showing birds and plants in red and blue against a white background. One-third of the design is predominately red and blue with plant and triangular designs.